Release Train 10/10/18 | CommentSold Help Center! It's the week of Columbus day and we're setting sail to propel you forward faster than ever before with these new bug fixes and features! This week includes everything from basic point of sale capabilities to a new way to report bugs! HYPE!!! We've added the ability to create a customer manually. This allows you to input a customers purchase in person while still using your current payment processor. 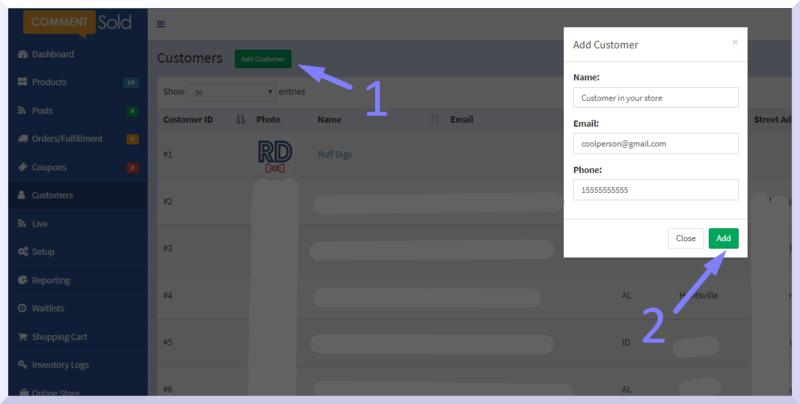 When you create a customer you're taken to their details page where you can add products to their cart! You can now see the customers who have carted a particular variant. To see this information go to Admin > Products > [chosen product] > Inventory and click the details menu of your chosen variant. Click Associated Carts on the drop down and it will take you to the Shopping Cart page where you an view all of the customers who have carted this variant. We've added the ability to filter the products on Admin > Products by new criteria. You can filter based on whether a product has been posted or not and whether it's is currently in stock. Click the Filters button at the top to get started. To clear the filters simply click the x button on the filter name (look at #3 below). You can now sort Admin > Shopping Cart > Customers alphabetically. The default sort will remain by newest at the top and oldest at the bottom. You can now enable/disable the pictures of your product on the app/webstore. All pictures will be enabled by default. You can't enable/disable images on Facebook. Thanks to our awesome mobile team your customers can now preauthorize their payment when adding an item to the waitlists! 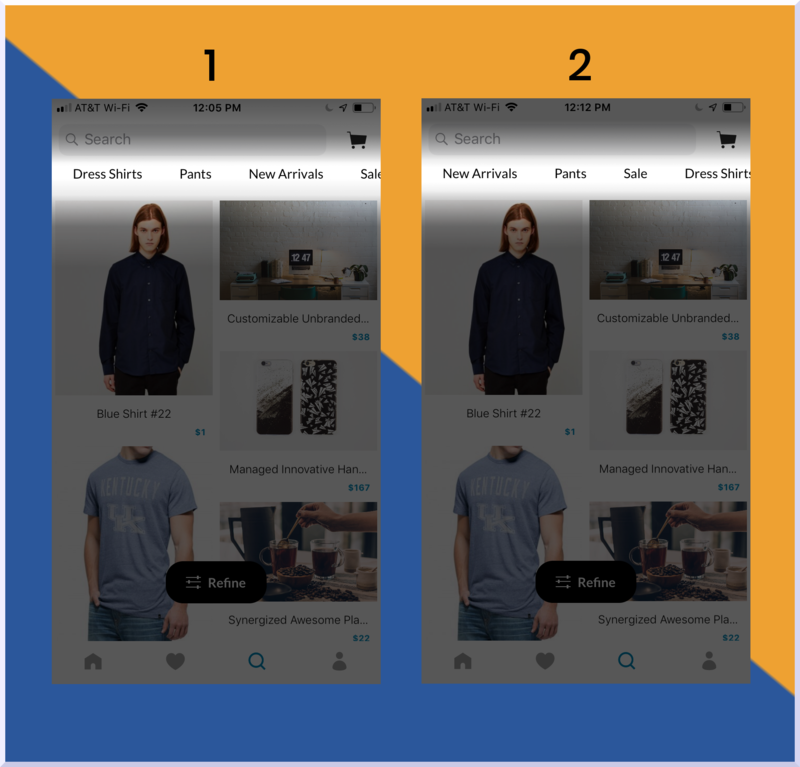 You can change the App Sorting Position property of collections in Admin > Store > Collections > Edit and it will change the order of collections in your mobile app!! Your customers are now asked to rate your mobile app! This will help you get discovered by even more potential customers! We're currently working on syncing Shopify gift cards with CommentSold! HYPE!! We're also working on a way for you to define your own shipping rates based on weights you define. Your future is looking bright ans we're excited to keep making it better, i'll leave the rest of the teasers for later. We're consistently fixing 10 bugs / week and this week was no exception! 📱 Fix bug requiring you to always select a local pickup even when it is already selected. Want a bug FIXED sooner? Submit it! We're still going hard on the bugs but we need your help finding the largest bugs that keep you from making bold progress. If you have one or more bugs feel free to put them in the system by clicking the button below. You can also up-vote bugs that are already in the system that are impacting you to get them noticed!